Physical therapy has proven effective in treating stiff neck and neck pain using both passive and active techniques to reduce pain and improve range of motion. Learn more about stiff neck. We spend hours of our day driving, sitting hunched over at a computer, sitting sedentary at our workstations, or watching TV. Repetitive activities and a poor posture often leads to a sore/stiff neck and a dull throbbing pain in your upper back, shoulders and arms. 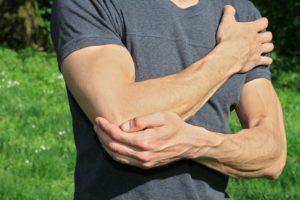 In more severe cases you may have experienced a shooting pain down your arm into your hand and fingers (usually a symptom of a pinched nerve in your neck). Neck pain occurs when there are abnormalities in your soft tissues, ligaments, muscles, nerves and joints of the spine. Injury from prolonged wear & tear, repetitive use, and poor posture causes soft tissue abnormalities and neck stiffness. When your neck is positioned poorly it also causes injury to the structures (muscles, joints, ligaments, tendons, nerves) that surround the spine. If left untreated the stress can cause joint degeneration and Osteoarthritis over time. Neck stiffness/pain isn’t an isolated issue and usually causes upper back pain and upper arm/forearm pain. A pinched nerve in the neck will cause a shooting pain down the arm along with hand numbness and weakness. Stiff neck can limit your range of motion making it painful to turn your head. A stiff neck can feel tender and cause headaches. With over 30 years of experience and 19 clinics across Saskatchewan we can get started the same day you call, no doctor’s referral needed. Find a clinic near you to book your appointment. 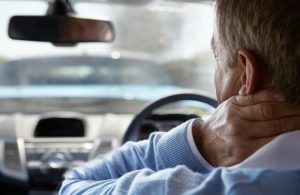 Bourassa & Associates Rehabilitation Centre looks forward to treating your neck pain so you can get back to doing your daily activities pain-free!